If you caught food poisoning from a restaurant establishment, and you have the evidence to support your claims, you could file a lawsuit against that eatery. Also, if a particular food item used by that restaurant led to your food poisoning, you may have a claim against the grower, distributor, or food processor. The pathogen for your foodborne illness must first be identified. In order to bring a claim against the eatery, you must first identify what pathogen caused your illness. This starts with a medical professional assessing your illness – and may require a stool or blood sample. If the pathogen is found, then the PFGE testing must be done. PFGE testing is next. PFGE testing is what assesses the pathogenic bacteria and genetic fingerprints of a particular foodborne illness. Then, when more than one person is found ill from the same pathogen, they can link them together to find the root cause or where the outbreak occurred. For example, the PFGE of the pathogen that made you sick is found on restaurant equipment, proving that the restaurant was the one behind the infection. You may have a claim even if you cannot prove what food item made you sick. Sometimes it is too difficult to pinpoint what food item made a person sick. In these cases, you may still have a claim. Depending on the PFGE results, you could have a claim even if you do not recall the dish you ate. This often requires more than one person falling ill from the same establishment. Leftovers that you took home could be used for evidence. If you have leftovers from that restaurant, do not throw them away. These could be used to prove that they are the source of your food poisoning. 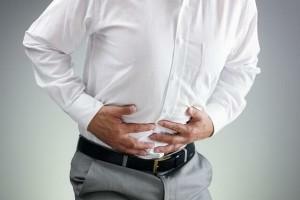 Some food poisoning cases do qualify for punitive damages. When a restaurant is grossly negligent, a case could have the potential for punitive damages in addition to compensatory damages. The investigation would need to show that there was a pattern of blatant disregard for food safety protocols and regulations or show that the facility knew there was a potential pathogen and used contaminated food or items anyway. If you have come down with food poisoning and you suspect a restaurant or particular eatery is at fault, speak with the attorneys at Van Sant Law, today. We can assess your case and help determine if your food poisoning situation qualifies for compensation under Georgia law. Schedule a consultation today at 404-991-5950 or fill out an online contact form with your food poisoning questions.